Dennis Eugene Harrell, 60, returned to his heavenly home on Monday, July 30, 2018, after a brave and valiant two-year battle with Sarcoma cancer. His devotion to his family and his strong belief in our Lord supported him in his struggle and ultimately gave him peace. Dennis will be remembered for not only “talking the talk, but walking the walk” in his Christian faith. He was a devout Christian that loved the Lord and raised his family accordingly. He never faltered in being the spiritual leader of his home. Dennis’s sense of humor will never be forgotten. Everywhere he went he made people smile with his good-hearted jokes and antics. He was a crane operator for 42 years. He loved his profession and was always a steadfast provider for his family. He was married to the love of his life, Sheryl Phillips Harrell, wife of 39 years. Their love was that once in a lifetime love. Together they had three children, Chasity, Justin, and Brandi. He was his daughters’ first love and his son’s hero. His pride and joy were his children and five grandchildren. He was his family’s rock. His never-ending love and devotion will never be forgotten and will forever be missed. Dennis was preceded in death by his father, Jack Harrell, II; grandparents, Jack Harrell, Sr. and Delma Harrell, Barton and May West. He is survived by his mother, Virleen Harrell; loving wife, Sheryl Harrell; children, Chasity (Wilson) Cordero, Justin Roy Harrell, and Brandilyn (Joshua) Hackler; grandchildren, Austin Ray Hutson, Chaslyn Rae Hutson, Jagger Roy Harrell, Tristin Eugene Hackler, and Fisher Heath Hackler; brothers, Jack A. Harrell, Sr., Jack M. “Pete” (Robin) Harrell; sister, Jackie (John) Kitchens; wife’s family: sister, Trudi (Doug) Mallard; brother, Phil Hunt Phillips, Gary Teal (Melissa) Powell; first cousins, Cindy (David) Sullivan and Randall (Laura) Johnson; along with numerous nieces, nephews, and other relatives and friends. The visitation will be held on Friday, August 3, 2018, from 6 p.m. until 8 p.m. at Heritage Funeral Home in Escatawpa, MS. Funeral service will be on Saturday, August 4, 2018, beginning at 2 p.m. at Four Mile Creek Baptist Church. 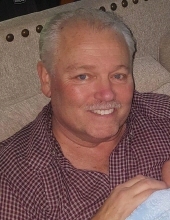 Interment will immediately follow at Shiloh Cemetery in Vancleave, MS.
To send flowers or a remembrance gift to the family of Dennis Eugene Harrell, please visit our Tribute Store. "Email Address" would like to share the life celebration of Dennis Eugene Harrell. Click on the "link" to go to share a favorite memory or leave a condolence message for the family.